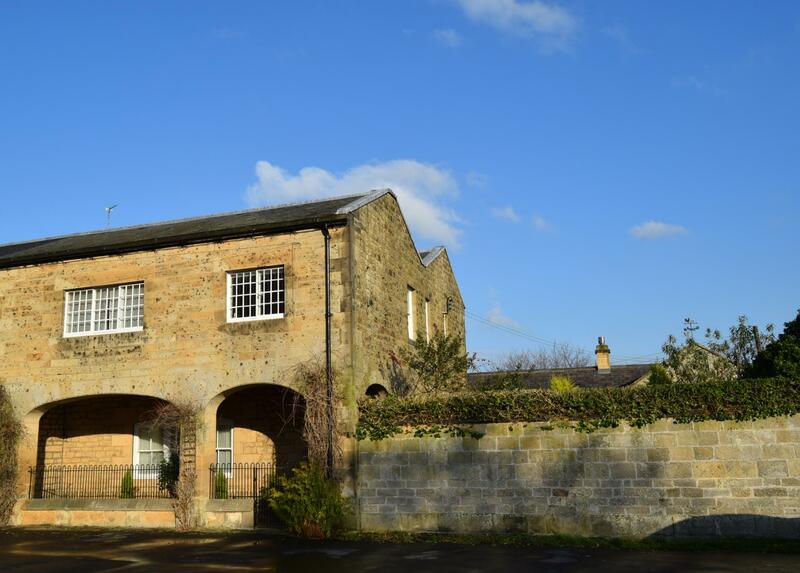 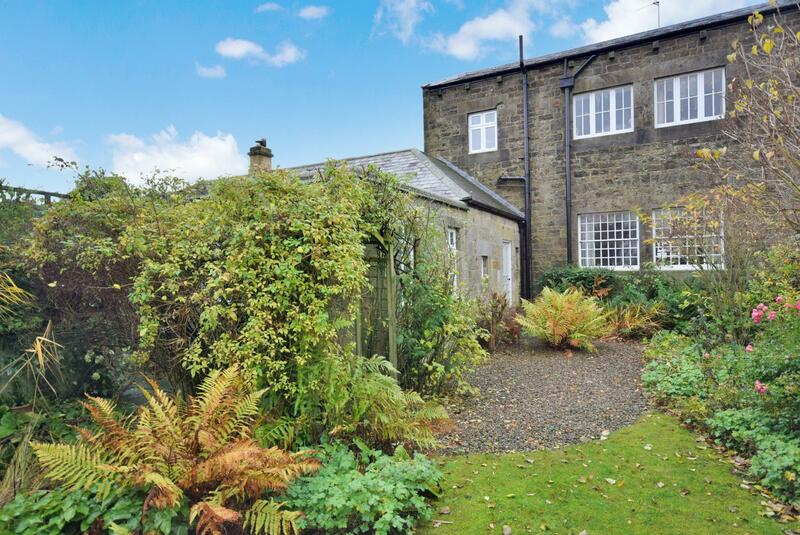 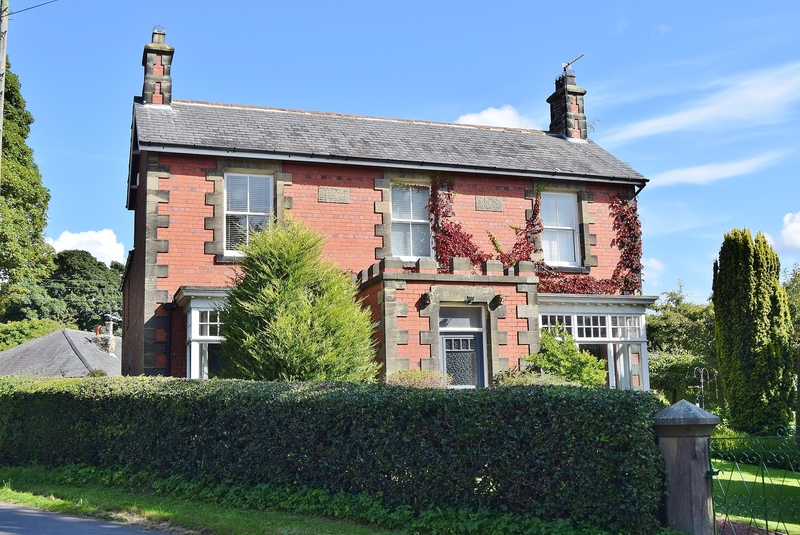 Arcade House is a stone built, family home steeped in history and is part of a parade of Grade Two listed buildings in the heart of the village of Belsay, about 10 minutes drive from Ponteland. 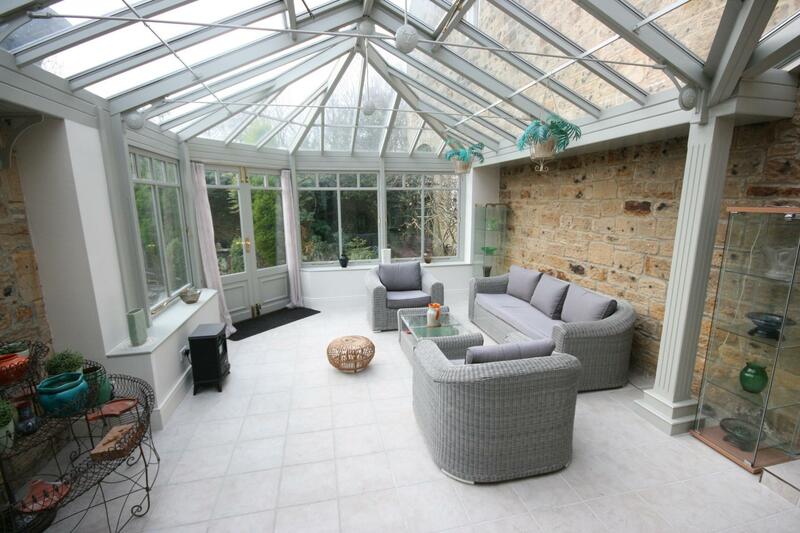 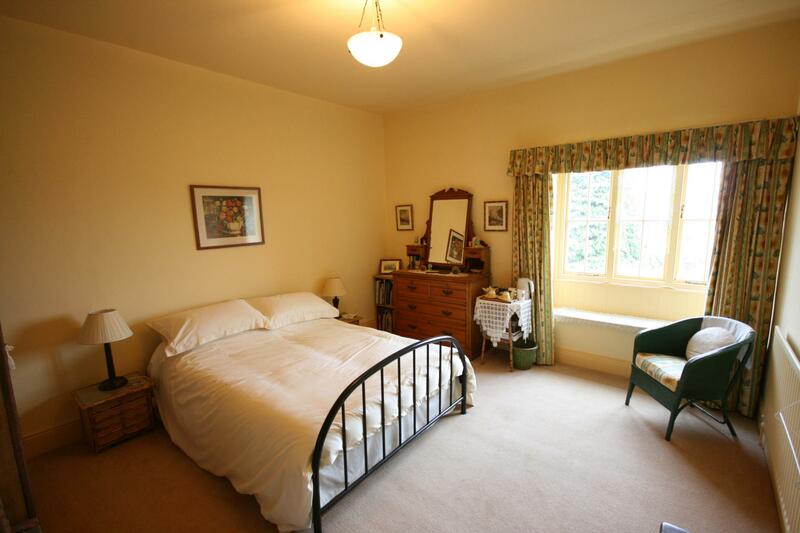 Originally the village hotel, built circa 1830, the property briefly comprises three large reception rooms, including a wonderful conservatory, breakfasting kitchen, four bedrooms, family bathroom and a shower room. 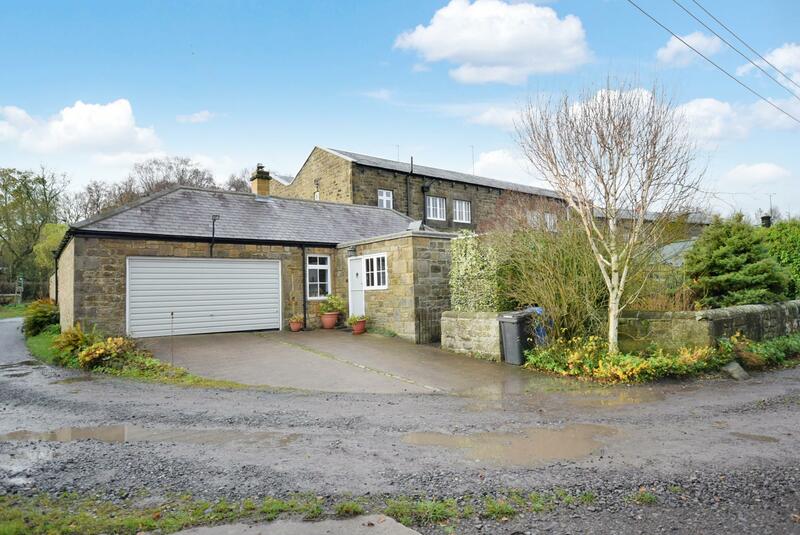 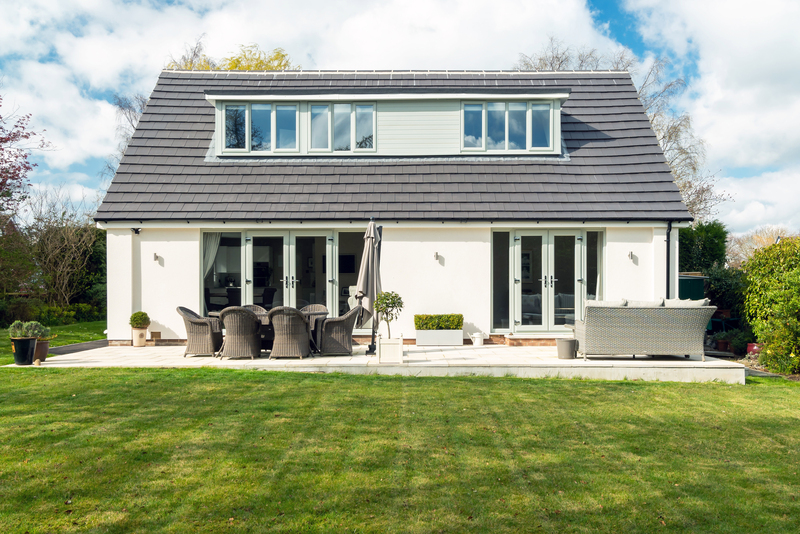 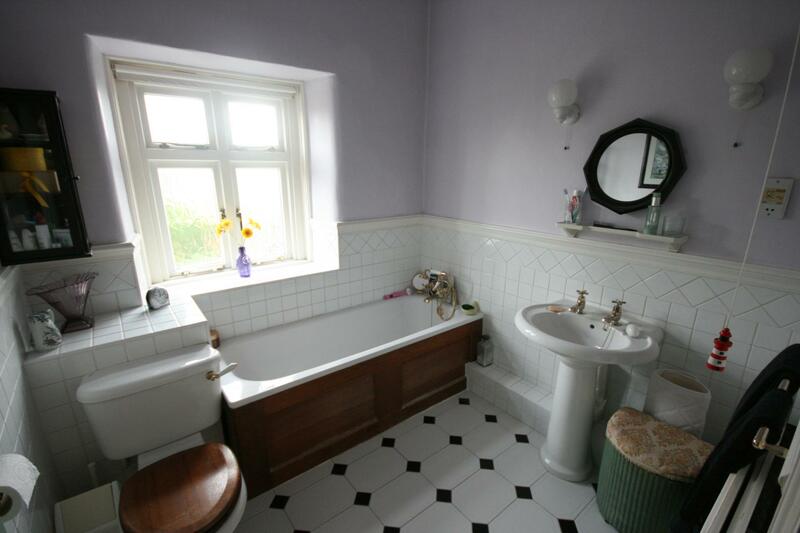 The current owners have maintained the property to a high standard and have obtained full planning permission to add two en suite bathrooms to the first floor. 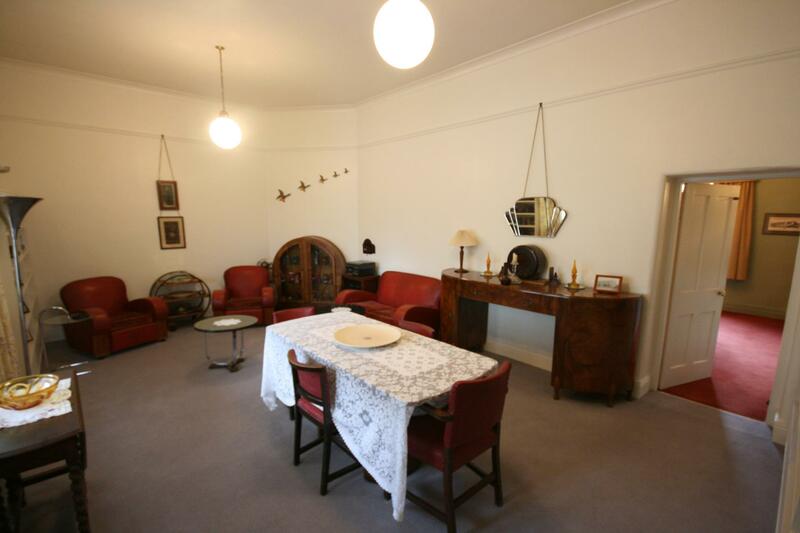 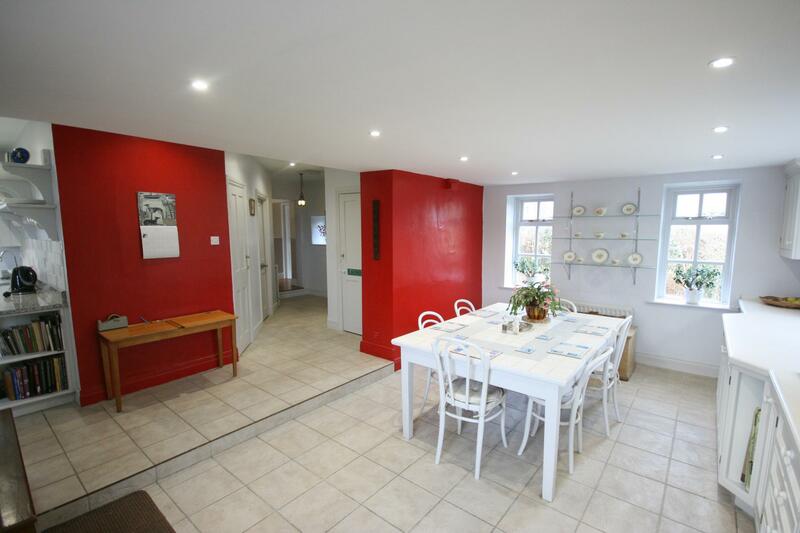 The property is entered through the unusual arcaded front and the front door opens into a spacious entrance hallway giving access to the main ground floor accommodation. 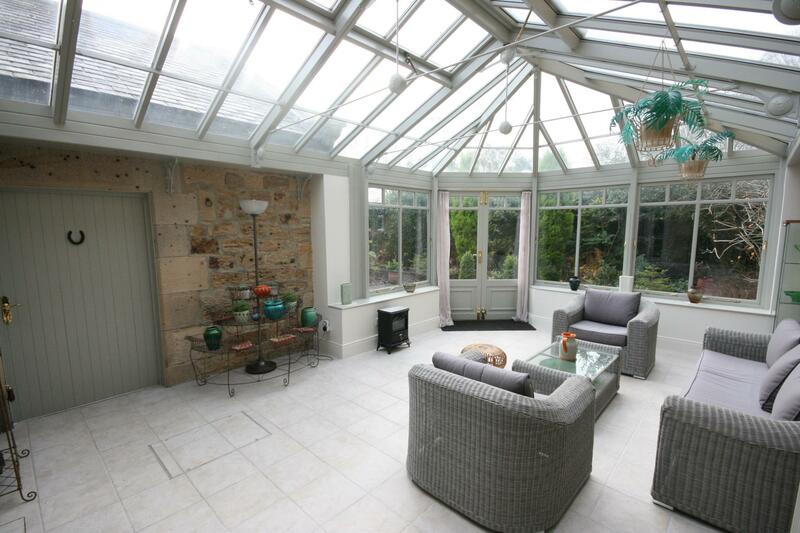 A 21ft dining room to the front leads to an equal sized living room both with high ceilings. 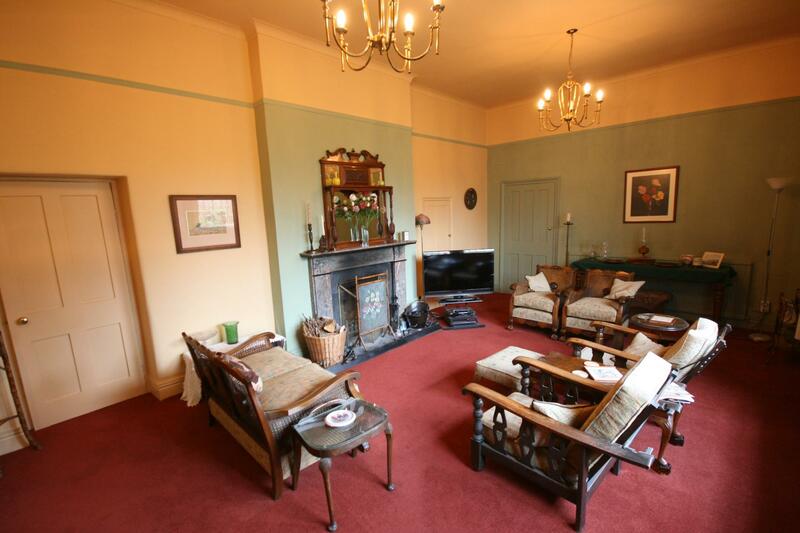 The lounge has a stunning feature marble fireplace and the large windows overlook the pretty rear garden. 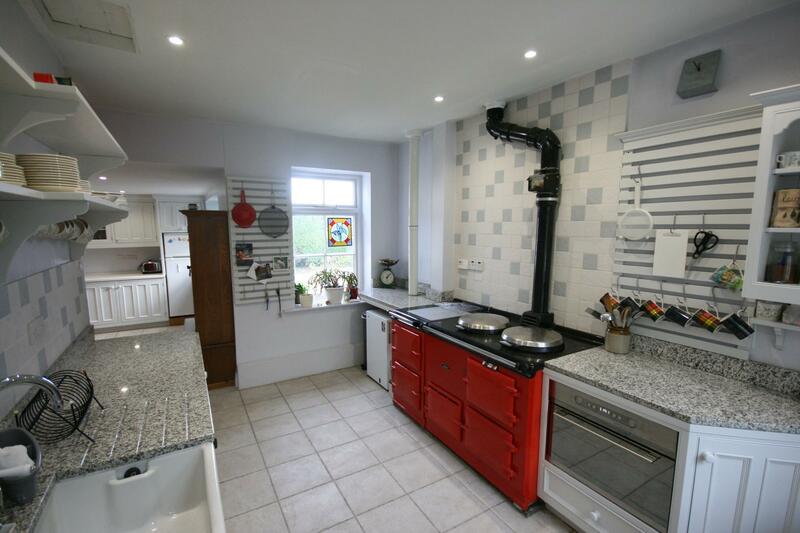 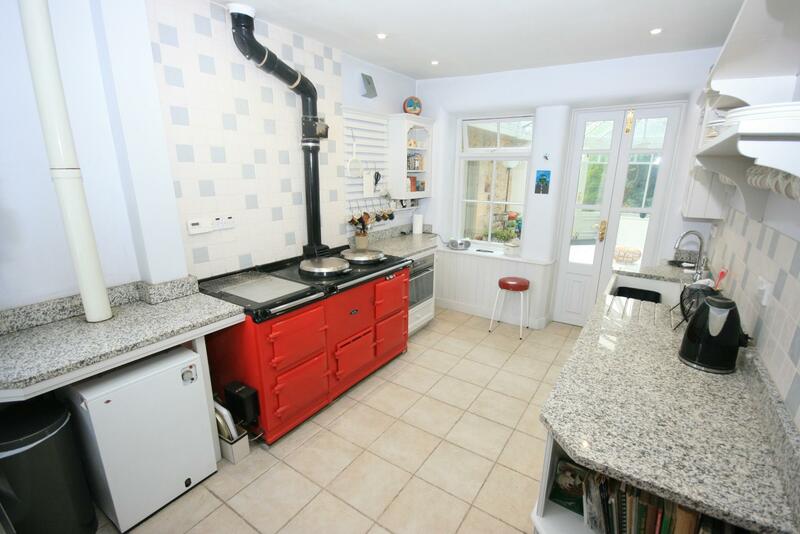 A well-equipped breakfasting kitchen, including an oil-fired Aga, creates the heart of the home, with an abundance of natural light, overlooking the rear cottage-style garden with stable door to the rear of the property and access to the wonderful conservatory with double doors out to the secluded walled courtyard garden. 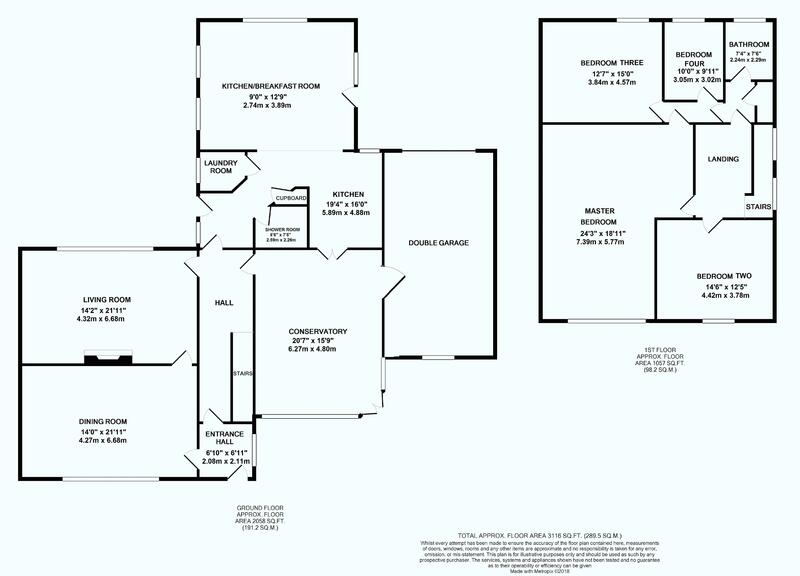 Four bedrooms, including a 24ft master to the first floor, complement the ground floor accommodation with the addition of a family bathroom. 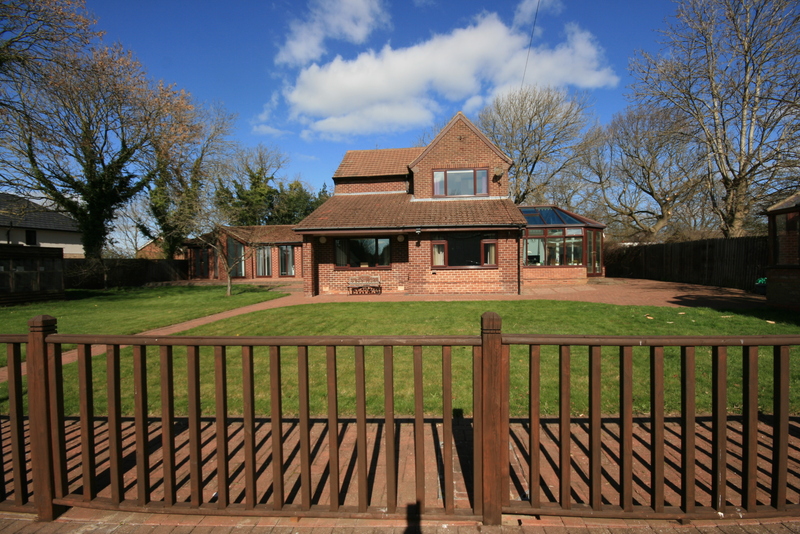 The property can be accessed through a wrought iron pedestrian gate to the arcaded entrance at the front. 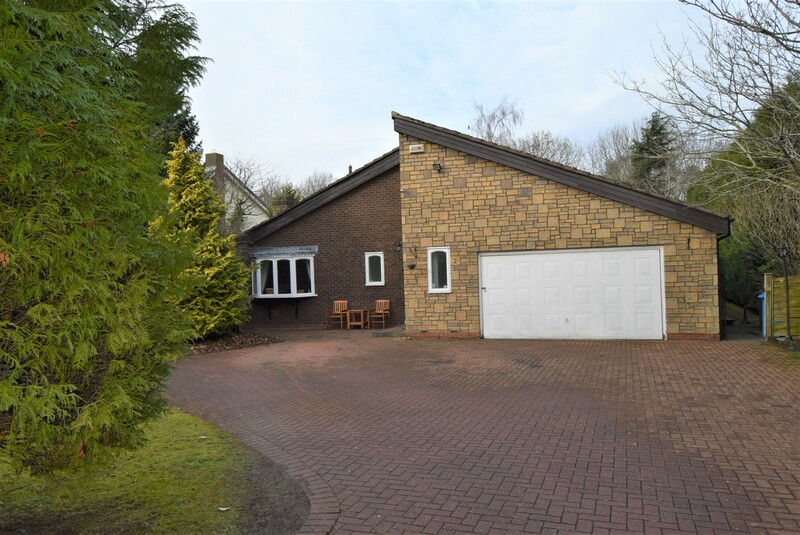 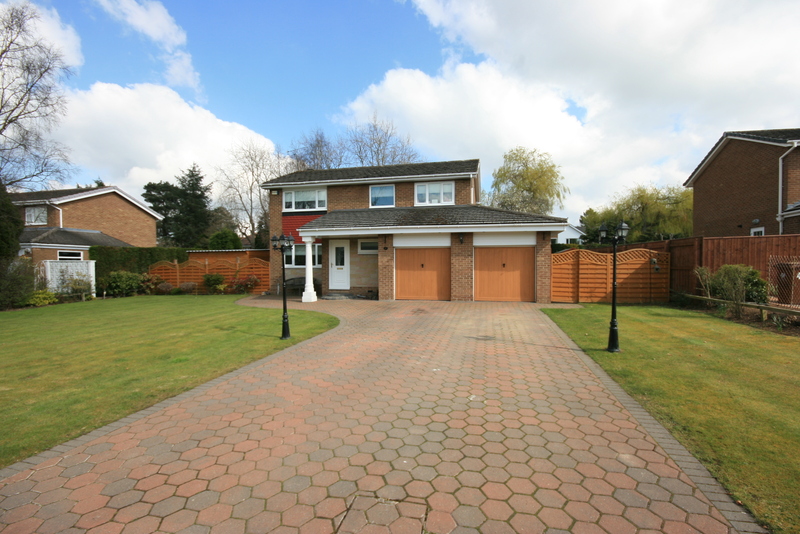 The rear of the property is accessed via the back lane and leads to the back door, the double garage and concreted driveway parking for several cars. 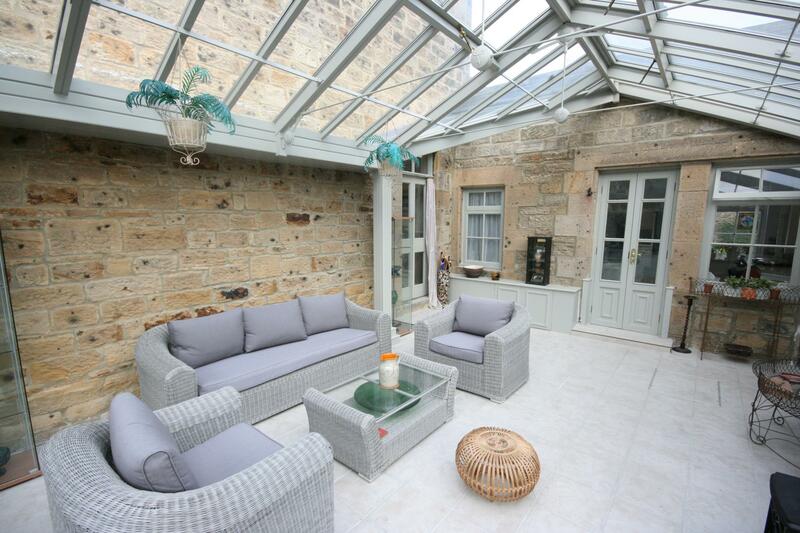 The walled courtyard to the front and side provides a secluded, secure patio area with mature planting and shrubs. 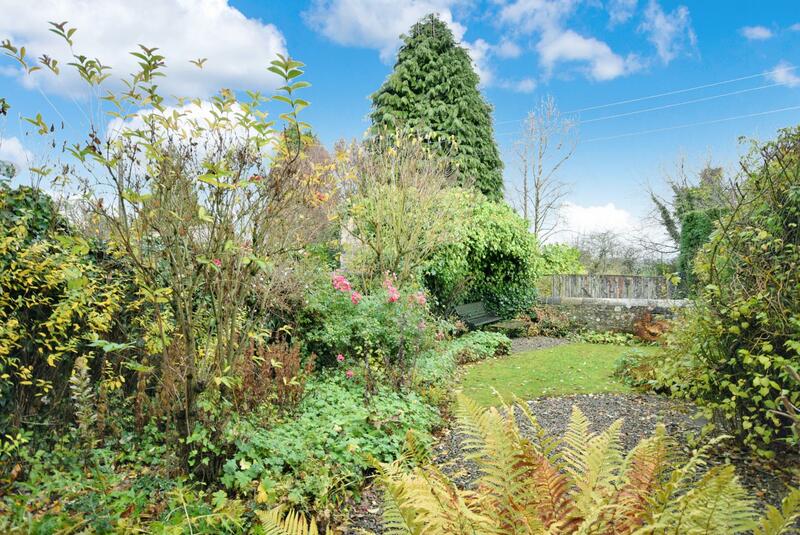 The rear cottage-style garden is laid mainly to lawn with a range of flowers, shrubs and trees. 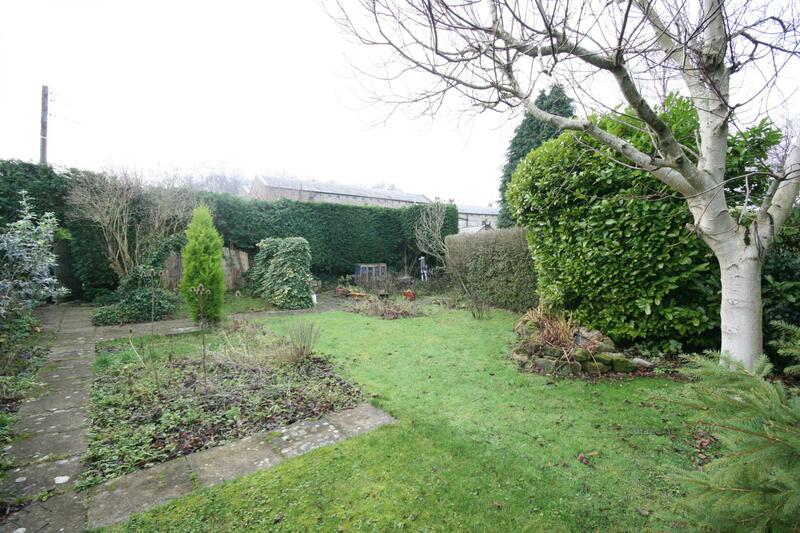 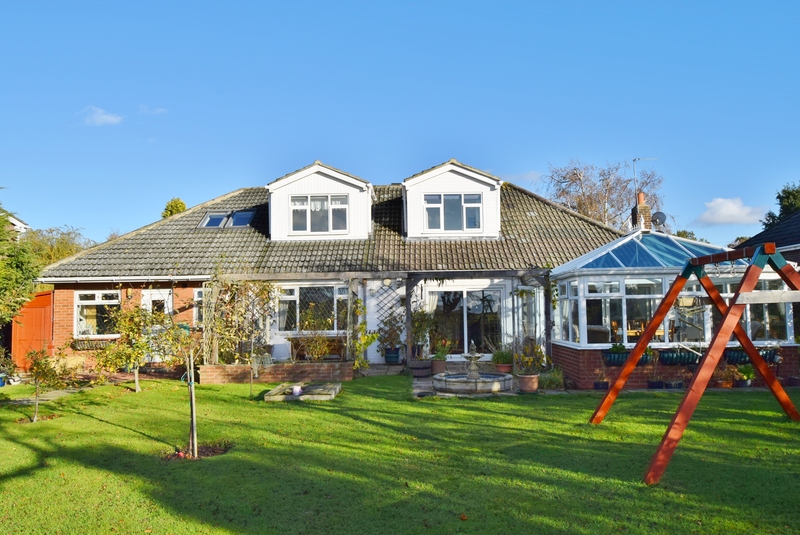 This stunning home also has the benefit of a “secret garden” accessed across the back lane with lawn, fruit and vegetable areas surrounded by mature hedging and this also has full planning for an additional garage.